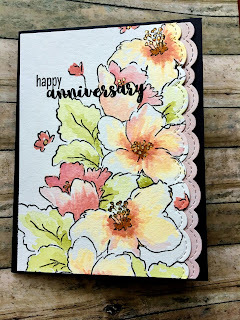 For this card I used the Altenew Hibiscus Bouquet Stamp Set. 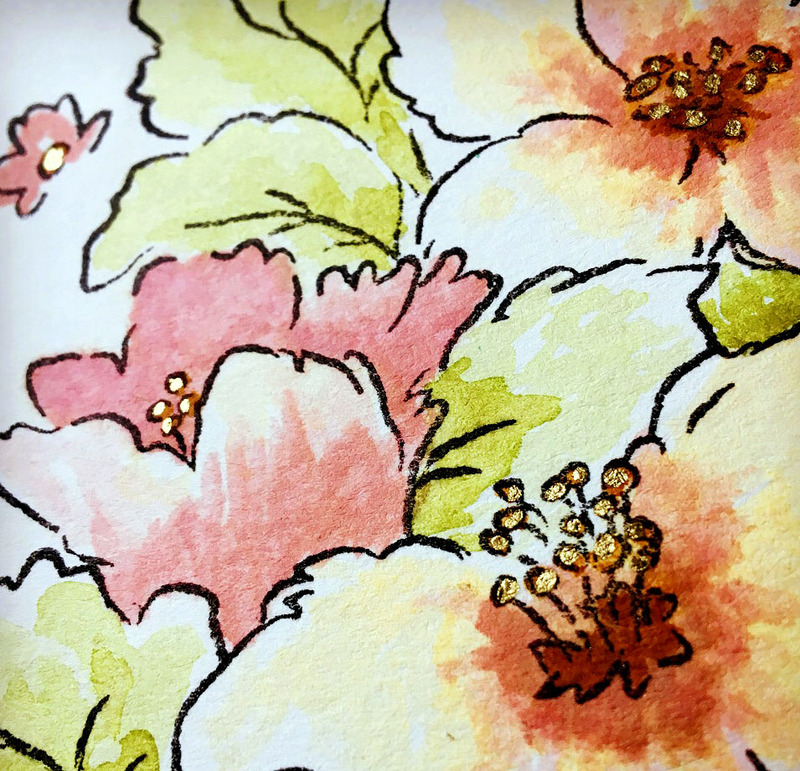 I must admit that I really have to practice with these stamp sets when I get a new one, but it was fun. I did a lot of masking with this card, but since I have the dies I used them and cut the masks out of 2" post-it tape because it's solid sticky and cheaper than the other forms I've found, I just kept stamping and masking and basically filling up the area shown. 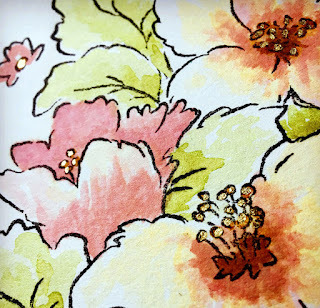 I used Altenew inks and stamped the ink pads on a craft mat so I could paint with the ink and a bit of water. I noticed I had to act fast because it didn't really move easily once it was on the paper if dilly-dallied. I pulled out some stitched border dies and cut some pink layering paper to cut both main panel and the pink layer. Lastly, I stamped the sentiment using the MISTI. Thanks very much for reading, and the materials used are listed below. 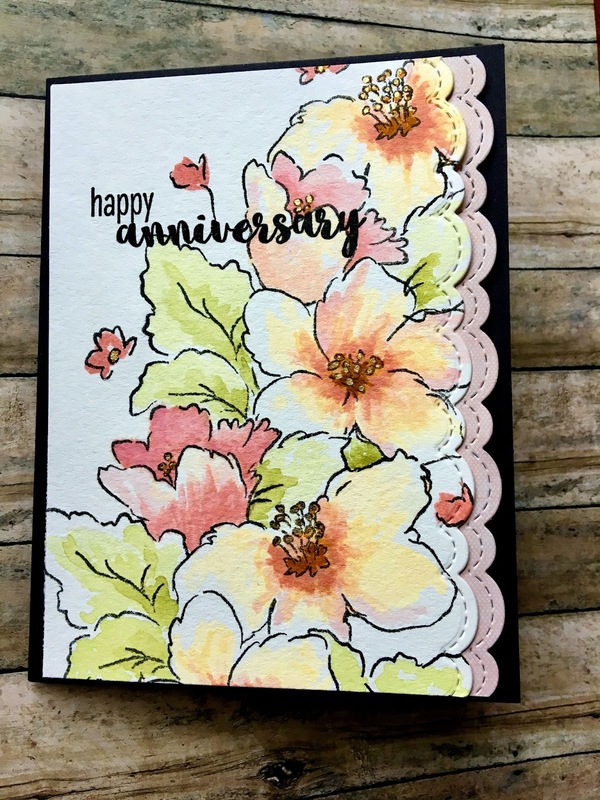 Altenew October 2017 Inspiration Challenge (I love this company). This is so stunning! Really stands out in the gallery!